Someone recently shared the following blog with me from Ron Hutchcraft and I know we can all relate in some way to this so I wanted to share it with you today and pray it speaks to your heart. “I’ve had to pay my sister-in-law handsomely so I could tell you this story about when she was a little girl. She and her older sister – who you know I married – grew up on a little farm in the Ozarks. One day the family was blessed with the arrival of some new kittens. And my three-year-old sister-in-law loved them so much. So much that she wanted to make sure they had something to drink. So she put them in their full rain barrel. Yeah, I’m sorry to say, the kittens couldn’t swim and the kittens drowned. I’m sorry. Her parents asked her why she did such a cruel thing. Turns out, she didn’t know it was cruel. She said, “They were thirsty.” Well, some cousin insisted that they have a funeral for the kittens, so he lined them up in a shoebox coffin and they gave the kittens a Christian burial. Unfortunately, that was not the end for my dear sister-in-law. She kept wanting to dig them up. And when she was told she couldn’t, she just cried and said, “Wanna see kitties.” No, you don’t! I’m Ron Hutchcraft and I want to have A Word With You today about “Leaving It Buried.” Unfortunately, it’s not just little kids who want to dig up something that should stay buried. We do it all the time. That’s why our word for today from the Word of God is from Philippians 3:13-14. 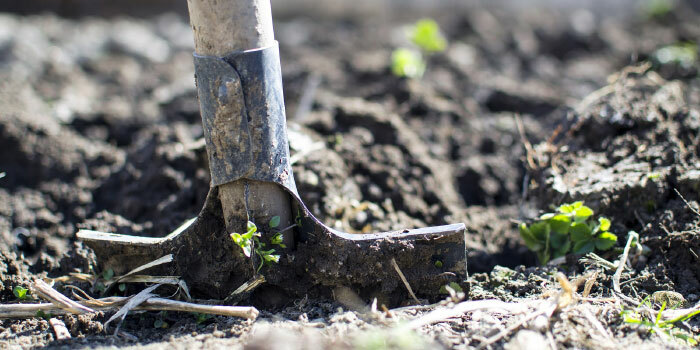 Paul says, “Forgetting what is behind and straining toward what is ahead, I press on toward the goal to win the prize for which God has called me heavenward in Christ Jesus.” Now, Paul is revealing here a big secret of emotional and spiritual health – leave the past in the past and don’t keep digging it up. Maybe you’ve got some wounds from the past; most of us do. There’s people that hurt you or let you down. Maybe you were wounded by your mom or dad, the person you married, by your church or ministry, a friend or associate, your employer or your co-workers. It maybe happened 30 years ago; maybe it happened 30 days ago or 30 minutes ago. But you still feel the pain of the wound. And how can you start to move beyond that pain? I know you don’t want to live in it. Well, by doing what God calls us to do in Colossians 3:13, “Forgive whatever grievances you may have against one another. Forgive as the Lord forgave you.” And how was that? “Who is a God like You, (the Bible says) who pardons sin and forgives…You will hurl all our iniquities into the depths of the sea.” (Micah 7:19). Even though we have hurt God deeply with our sins, He forgives those sins and He buries them! We’re called to treat people, not as they have treated us, but as Jesus has treated us! But there are people who are into lifelong dredging operations – dredging up their grievances over and over again. And, frankly, they’re not much fun to be around. There’s a darkness, a negativity, a cynicism that develops in a person who keeps digging up the past. It’s about as ugly and foul as those dead kittens would have been after they were buried. And nobody wants to be around that stink for long. How about asking Jesus, the Great Forgiver, for the grace to let the painful past go once and for all? If you need the help of a pastor or counselor to work through that pain one last, decisive time, do it soon. Dig it up one more time so you don’t have to dig it up ever again. We don’t have to be a Christian or pastor’s wife long before someone hurts us or we hurt someone and if you are continually going back and digging those things up, stop doing that and leave them buried. If there are some things from your past that you need to ask for forgiveness of or make right with someone else, then by all means take care of that. Then bury it and don’t dig it back up. We are here to help anyway we can on your ministry journey.